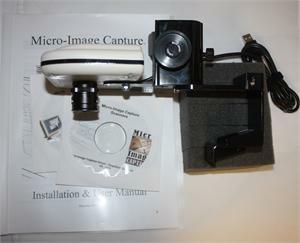 Micro-Image Capture 7 Ugrade Kit for Image Mouse Plus Systems. 7-54X Optical Zoom, High Resolution View & Capture, W7/8 and MAC ready! 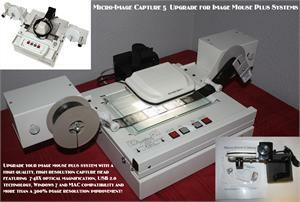 Home > Film & Fiche Scanners > Micro-Image Capture 7 Ugrade Kit for Image Mouse Plus Systems. 7-54X Optical Zoom, High Resolution View & Capture, W7/8 and MAC ready! Upgrade your Image Mouse Plus System with a high quality, high resolution capture head featuring 7- 54X optical zoom, usb 2.0 technology, Windows 7/8 and MAC compatibility and more than a 300% image quality improvement! Retrofit Kit for existing Image Mouse Plus users includes: Micro-Image Capture 7 head with 7- 54X lens, anodized billet aluminum mounting kit, drivers, software & user instruction manual. 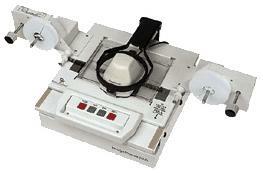 (This kit is for owners of existing Image Mouse Plus manual and motorized systems, does not include base unit). This easy to install retrofit kit does not require a technician! 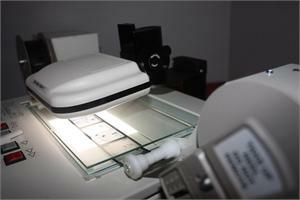 Latest in digital microform capture technology featuring high resolution viewing, printing and capture. USB 2.0 fast, real-time viewing for XP, Vista & W7 platforms, 32 & 64 bit and MAC OS systems. Simple keystroke or optional foot switch activation saves image as .tiff, .jpg, . pdf and / or sends image to your network printer. Simple user interface allows for real time adjustment of contrast, brightness, exposure and more. Tools include optical vertical and horizontal image flip, mouse scroll to enlarge/reduce onscreen image as well as color, grayscale, black line and image invert (image reversal view /capture modes. Capture software provides for many adjustments to image quality like contrast, brightness, and resolution as well as optical flip, rotate and invert ( neg to pos). Send images instantly to your printer, e-mail or to a designated pc folder with one keystroke. Our exclusive multiple output functionalityallows for printing, save as image file, e-mail, & ftp outputsthat can be configured to activate simultaneously! Output image format types include PDF, TIFF, JPG, PNG, PSD,BMP, CAL, GIF, CAL, WPG and more. Our multiple capture options allow for full screen capture, frame capture area selection by mouse drag and multiple capture of selected areas on the same image that combine automatically on one page for print, save or e-mail output functions. 12"L x 14"W x 8"H, Weighs 24 Lbs.